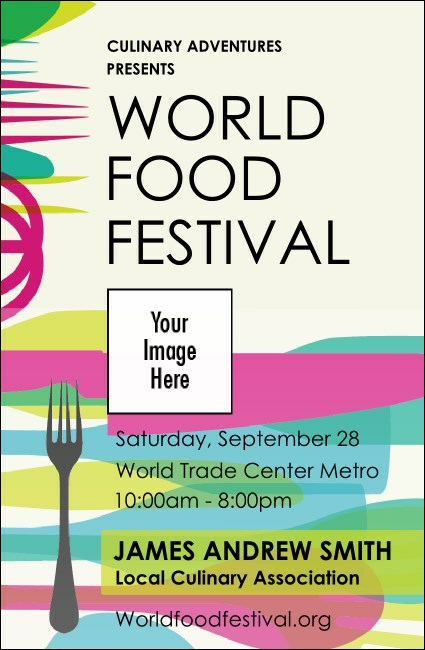 Bestow perks and white-glove service to your top chefs and gourmands using the World Food Festival VIP Event Badge Small. Aqua, chartreuse, and magenta cooking tools provide an artistic backdrop to your event’s information. Pair with wristbands, drink tickets and more from this design’s matching event kit. Deliver an exceptional event experience using custom badges from TicketPrinting.com.